As a follow up to my post on where to get recipe inspiration from, I thought I would go on to discuss how to store your favourite recipes. I store cookery books and magazines on bookshelves of course, but it can be frustrating trying to remember exactly which book and on what page a recipe is on. I spent half an hour the other night looking through magazines for a recipe I knew was there somewhere. It didn’t come to light until a couple of weeks later when I found said magazine under the coffee table instead of in the magazine box. 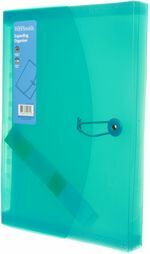 They are called expanding organisers, and when you open the lid you have a row of slots that you can slip papers into. I found this useful for storing magazine recipes where I didn’t want to keep the magazine, and just tore out the relevant pages and put them in the folder. They are also good for the recipe cards you pick up in the supermarkets. I also inherited a box of family recipes on index cards that were stored in a box similar to that at the top of the page. I later reorganised them into the expanding organiser to try and get everything in one place. I also had one of those blank recipe books that you are meant to copy your recipes into, but of course the problem with that, and also the index cards, is that it involves handwriting every recipe either in the book or on a card, which is a bit tedious. When the original family recipes were done some of those were typed onto index cards, but it was probably easier to get an index card in the typewriter than it is in the printer. The other thing is that these days I use recipes off the internet. I do end up printing some of them so I have a copy in the kitchen, but simple recipes I tend to note down the details on a post-it note and chuck it afterwards, or stick in on the back of another recipe if it was any good. Sometimes I just bookmark them on my phone and then use the phone to help me do the recipe, although that can get irritating it the phone keeps turning off. I suppose I could find that setting and change it though. Some recipe websites also have recipe boxes that you can log into and tag your favourite recipes, or even type your own in, but I find I pick and choose recipes from all over the place not just one site, although some sites I use more than others. Anyway, what I want to be able to do is it to have a core of recipes that I have tried, that work and that I can easily cook on a weeknight, and that I can just refer to the day before and decide what I am doing. Many of the above methods of storing recipes are things that might be nice to try, or things you did once for a special occasion and you end up with a mass of paper that you have to flick through and it takes ages to decide on what to cook. As an aside, its useful to annotate cookery books and recipes to remind yourself of how the recipe went. I keep a pencil in the kitchen, and if I try a new recipe from a book I will lightly annotate to say if it tasted nice, or any improvements I should try next time. So, I think I’ve found my recipe solution. I have a Google account, and I use Google Drive to store documents on. 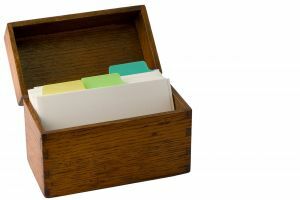 Google Drive allows you to store spreadsheets, straight documents, presentations, photos, and other things. It’s basically the equivalent of Microsoft Office but the documents are all stored in the cloud, and it has an app for my smartphone so that I can access my documents from my phone or any computer, providing there is an internet connection. The plan I have just started is to create a recipe folder within Google Drive. Within that folder I have created different folders for dinners, lunches, desserts etc. I am then creating documents with copy and pasted recipes from the internet, including my own blog, which sorts the internet side of things. Only tried and tested useful recipes will make it into the folder. Then to deal with magazines and cookery books I am taking photos of the recipes with my smartphone, and uploading the photos to the same folder so I effectively have a picture of the recipe instructions. I’ve only done a few so far and it’s working pretty well. You need to get the pages properly flat and have a decent light but they have turned out quite readable. So if I build up the folders over time with favourite recipes it should give me a complete recipe book, a mixture of documents and pictures from all my recipe sources, of things I cook on a regular basis. What do you think? Any improvements to this system I could add? What’s your system for storing recipes from different media? For a lot of people here in the UK its the Easter holidays. It’s a shame that the weather hasn’t been very spring-like but there you go. Admittedly it hasn’t rained for a couple of weeks and today the sun is even out, however there is still an icy wind that really puts me off any major outdoor activity or any gardening. Anyway, enough moaning about the weather. Perhaps at holiday time you fancy cooking an English breakfast – bacon, sausage, egg, tomatoes, mushrooms etc. Quite often holidays are the only time you get round to it. When I cook fried breakfast the most difficult thing is getting everything finished at the same time. 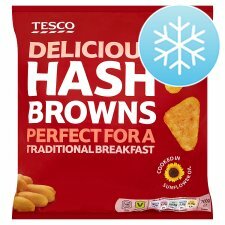 The main nightmare element is the hash browns, see picture above. They are frozen, and take about 20 minutes to cook in the oven or 15 to fry I think. So today’s quick tip is to put your hash brown into the microwave for a minute or two to defrost it first, then finish it off in the frying pan with the eggs or bacon. It vastly reduces the cooking time and it tastes just the same! I hope everyone is enjoying their holidays despite the weather. Do you ever get fed up of cooking dinner every evening? There is a big difference between having a hobby where you cook a special dish or two at the weekend, and the regular every day cooking that you have to do to feed yourself and your family. Its easy to to run out of ideas, or stick to repeating the same few meals over and over again. I remember reading an article that said out of the people in the UK who actually cook dinner every night, the majority of them do not cook more than 4 or 5 different meals. I think I do a little better than that but I still run out of inspiration from time to time. So where are the best places to get new ideas from and improve your cooking skills – whilst fulfilling that everyday need to get a quick meal on the table for your family every day? Magazines are good because for £2-£3 pounds you get about 100 recipes and chances are there will be something that will suit you. Magazines also keep up to date with current trends and so are more likely to keep up with seasonal and fashionable food trends, so if you have a current issue, you should be able to find the ingredients easily. 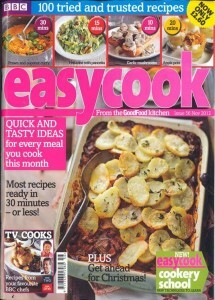 My favourite magazine at the moment is Easy Cook. It has lots of quick and easy recipes (as the title suggests!) and ideas for using up leftovers products, easy entertaining and basic cooking techniques. Its aimed at the person who doesn’t have too much time but needs to get a nice meal out. I used to have Sainsbury’s magazine, which is quite good, and an interesting read, but I found that I didn’t often try any of the recipes as they were often designed for special occasions or dinner parties. However I think there is generally at least one feature each time talking about budget or weekday quick and easy meals. There are many more magazines on the market to browse – BBC Good Food and Olive are ones I buy once in a while. Cookery books are an obvious choice of inspiration and every has their own favourites. I think everyone should have a good basic book that tells you how to cook a bit of everything. The kind of book that tells you how to make a Victoria sandwich or roast a chicken. I have an old Marguerite Patten one, and a Mrs Beeton one which are good for this purpose, and I know that Delia’s Complete Cookery is also a good one. 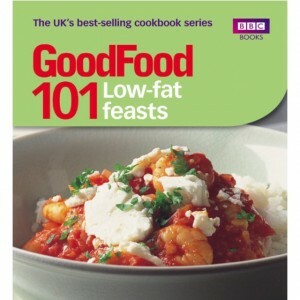 I like the BBC Good Food series of cook books. They are small books with nice pictures, and the recipes tend to be straightforward with not too many ingredients. My two favourite ones are Low Fat Feasts and Simple Suppers. I’m not that into celebrity chefs, but I did like Jamie Oliver’s back to basics campaign. I have his Ministry of Food cookbook and its one I keep going back to. His instructions are designed to make it simple for people who haven’t done much cooking before, and the results are very good. Then of course we have The Internet. The easiest way to find inspiration is simply to Google your recipe and browse the pages to see what you can find. However you should be discerning when viewing the results to make sure the recipe sounds like it will work out the way you want it to and watch out people in the UK for recipes from typically from the US using different measurement systems or ingredients we can’t get hold of over here. Other specific recipe websites I browse for inspiration are BBC Good Food and Epicurious. They both have a recipe box feature where you can log into the website and bookmark your favourite recipes so you keep a kind of online recipe book within the site. I have the odd few recipes on each of those sites in my box although I use so many sources for inspiration its not something I’ve got into that heavily. Its also useful on those two sites reading the reviews of other people who have already cooked the recipes. Often you get extra tips, hints and variations to try out. Finally on the internet, its worth looking at other people’s blogs for inspiration. 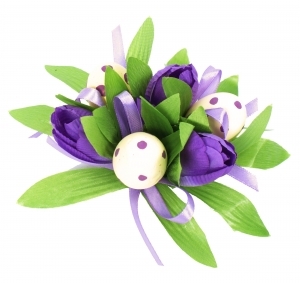 This one for example! Or just browse food blogs and then look at their blogrolls for links to other food blogs. If you use a blog reader like Google reader then sometimes they have features to recommend blogs similar to those you already read which can be useful. Smartphone apps – whether you have an iPhone or an Android, just browse the app store for recipe apps. You will find all sorts of different apps to download. I have an Android, and the apps I have for recipes at the moment are Tesco, BBC Good Food, All the Cooks, My Kitchen, and Epicurious. I can’t particularly recommend any of them as apps aren’t my first port of call, but there are so many free ones its worth taking a look. My final inspiration is reading the packets of the food you buy. Often they will come with recipes on the side, especially things like packets of flour. That’s particularly useful if you buy something like gluten free flour and don’t have a clue how to cook with it – you will find a few recipes to start you off on the packet. If that fails often the people who make the food have a website with recipe suggestions. That was how I found the recipe for my duck breast post a couple of weeks ago. Failing all else – post on Facebook “what shall I cook for dinner tonight?” and see what your friends have to suggest! P.S. None of these are affiliate links or in cahoots with the publishers, they are just things I happen to like. I get Which? magazine – the consumer magazine that reviews all sorts of products independently – from electrical items to financial products to food. A while ago a little card came with the magazine to put in your handbag which has a summary of the levels of sugars, fat, saturates and salt which are the considered high, medium and low per 100g, i.e the government recommendations. The idea is that you can use it to check against food labels when you go shopping. It was this little card that first made me aware of what is considered to be a high sugar content in food. The figures are, per 100g, less than 5g is low, between 5-15g is medium, and above 15g is high. 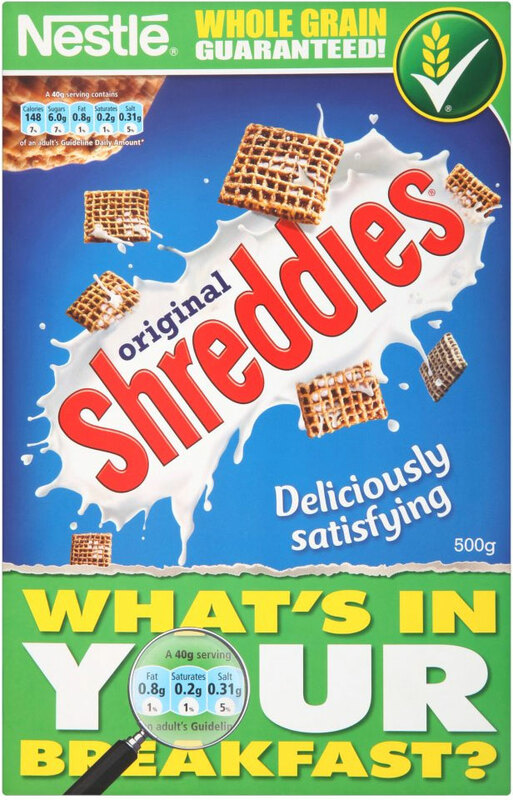 I picked up my husband’s favourite breakfast cereals and pointed out that despite the green tick for wholegrain on the front and the multitude of vitamins, the cereals were high in sugar. 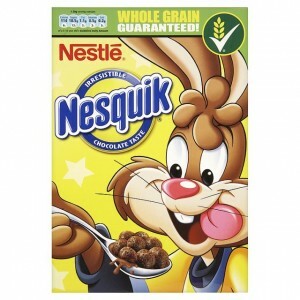 I then picked up my own favourite cereals which nominally looked a lot healthier – bran, oats and muesli and the like – and was a little surprised to find that they were nearly as bad, and still classed as high in sugar. 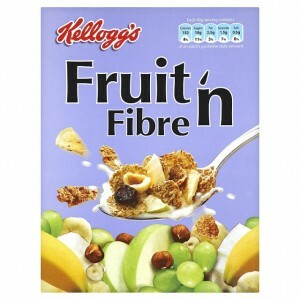 Fruit n Fibre, probably the cereal I’ve eaten the most over the last few years has 24g of sugar per 100g (also rather high.) Some of this is from the dried fruit content but even so it’s still a lot of sugar. Only the plainest of plain cereals seem to fall below this marker. 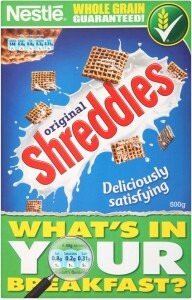 Very boring cereals like Shredded Wheat (who’s for cardboard?) and porridge which is more palatable with the addition of…sugar! It worries me firstly that these products are marketed as being the healthy way to start the day despite having as much sugar as half a chocolate bar, and secondly that a large proportion of this marketing is aimed at children. Having consumed vast amount of Coco Pops and other similar cereals as a child I know for a fact that cereal choice for children is based on the cereal packaging and closest possible taste to confectionery that you can persuade your parents to buy. Oh, and the free gift in the packet in my day – I don’t think they do those as much any more. 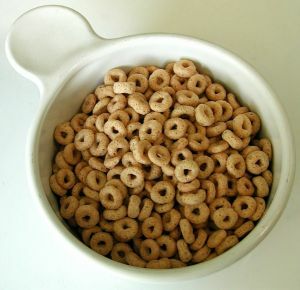 So half the nation goes to work or school and does a morning’s work on a bowl of sugary vitamins.